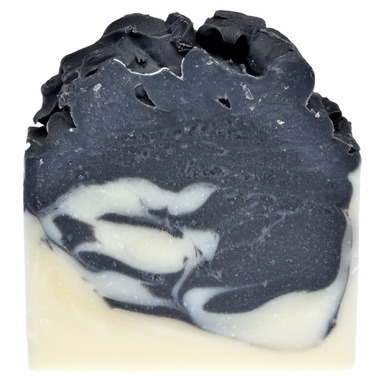 Great size, scent and feels very clean and refreshing! Even my fiancÃ© loves it too! 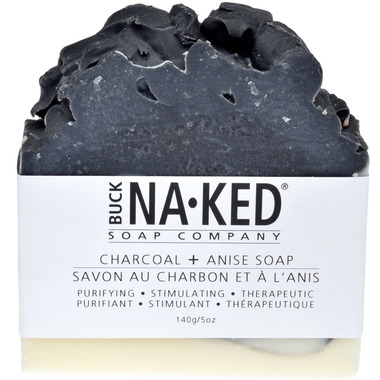 I love all of these Buck Na.Ked soaps. Just finished this particular one. I find these soaps last a very long time and are really amazing. They are a bit pricey but those I gift them to love them as well. Smells amazing. Would definitely recommend. I love the scent of this soap! It isnâ€™t drying and lathers nicely. Great results and not as drying as some other charcoal products I've tried. A staple for me! Love the anise scent in a soap bar so natural! Great lather and non-drying after I use it! The best scent buck naked offers. You can cut the soap into smaller bars because it is quite large, this is a good way to keep the extra from washing down the drain. I wouldn't order it if you don't like the smell of black liquorice though. Also it isn't perfume so it the smell won't stick to your skin like a bar of dove. If you want to smell like something all day, I would suggest buying some perfume. Licorice scent is not my favourite but works well for intended purpose. Only use in certain area's to not dry out the skin. My husband's favorite soap ever. The anise smell fills the bathroom when we use it in the shower. I LOVE this soap! For one, it's huge. I cut in half and can easily get 2 regular full sized bars out of it. The smell is so delicious, it makes my shower indulgent. My skin feel so clean and soft when I finish using it. I will be buying this soap again and again! it dryes the skin out extremely!!! the scent of anis is only perceptible when you smell the soap itself - it does not smell on the skin. Absolutely love this soap. I actually feel squeaky clean and the smell is almost a black liquorice smell. Very refreshing. Beautiful product, but you have to like the smell of black licorice. I typically enjoy the smell of anise/fennel, but the smell of this soap is very strong... a bit too strong for me. This product has a nice consistency when lathered and feels nice on the skin. I did not notice any visible impact by this product to help with acne however, I did not find it irritating to the skin. The scent is also quite strong. Seems to clean skin fairly well. I've been pleasantly surprised how well this soap has been helping my stubborn acne. It does have a strong licorice smell but I don't mind. This soap is amazing! I love how my pores are noticeably smaller and it doesn't dry out my skin. Really helped clear up my acne. This soap smells and works amazingly. My skin feels clean and soft without feeling dried out. Great sent, non irritating and long lasting. We love these soaps. I love this soap. It is a huge bar and lasted me way longer than most other soaps. This one in partcicular helped with my acne prone sin. Will buy again!